When you think about getting into a fight with someone, an unassuming, precious grandmother probably isn’t the first person who comes to mind. But in Ramsey, New Jersey, an increasing number of women in their 60s and 70s are signing up to learn krav maga — a self-defense system developed for the Israeli military that combines techniques from boxing, wrestling, and a variety of other martial arts. And my mother is one of these women. Related: Is Your Workout Making You Old? But krav maga isn’t only about self-protection — it provides a great aerobic and strength-training workout. “The workout is very important because if you’re not able to withstand a situation for a couple of minutes, you are going to fail,” Racciatti says. His class involves 15 minutes of cardio and toning at the beginning, as well as 5 minutes of stretching. 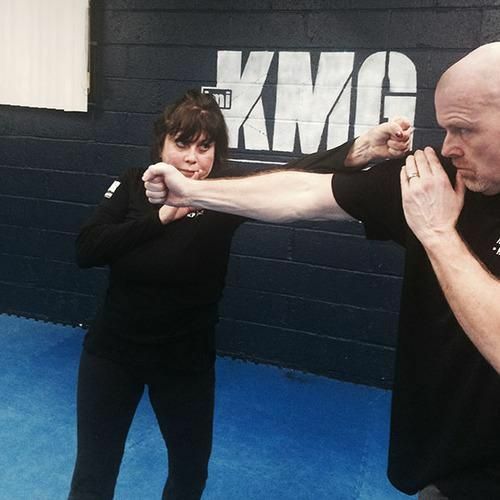 Unlike other workout classes where you can zone out or daydream, krav maga forces a person to constantly anticipate what to do and think strategically in an instant. Studies have shown that this way of thinking in martial arts has cognitive and behavioral benefits, including building self-esteem and self-efficacy.